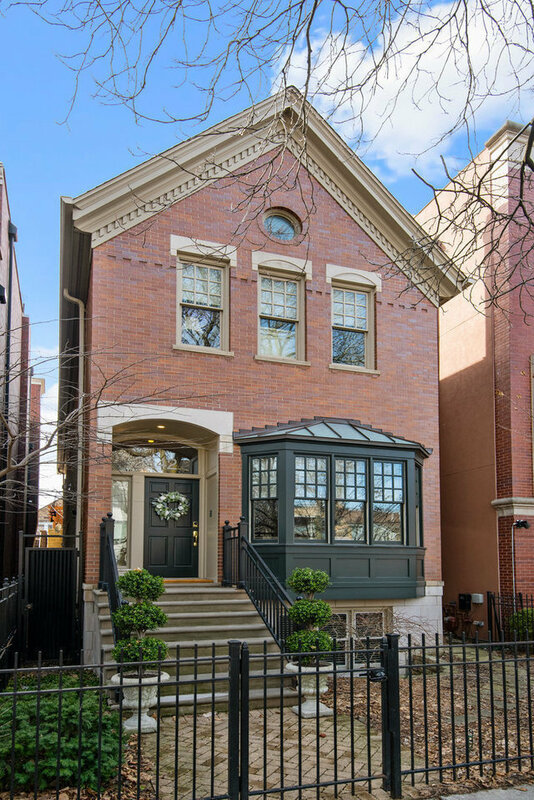 Move right into this custom built, meticulously maintained 5Bed/3.1Bath SFH on tree-lined Wayne in Lincoln Park. Impeccable finishes throughout: distinctive millwork, wainscoting, hardwood flooring and elevated window treatments. Attached garage enters main level via light-filled mudroom w/ custom built-ins, heated flooring leads to large open family room, just off gourmet eat-in kitchen. Nothing has been overlooked, SubZero, 48" Viking Range, Fisher&Paykel, large center island and built-in desk, complimented by gorgeous quartz countertops, designer backsplash; 2 pantries. Main floor continues into gracious living/dining room complete with fireplace and elegant built-in dry bar. Skylit 2nd level offers dreamy master suite w/ vaulted ceilings, custom cabinetry and luxurious marble spa bath; 2 additional bedrooms, bath, and laundry center complete floor. Exceptional lower level w/ hardwood flooring offers family room, office/gym, 2 beds, bath and wine cellar complete this pristine home.